Answers to some of the most common questions about our state animal. How Many Panthers Live in Florida? Even with the large number of vehicle deaths, the Florida panther population is increasing. According to estimates by the Florida Fish and Wildlife Conservation Commission, as many as 230 adult and subadult panthers might roam in Florida's primary zone. This does not count cats still living with their mothers - some of whom can be close to adult size. About half of these panther kittens typically do not survive to adulthood. While still a critically low number, this is a big increase over the 20 to 30 cats that were left in the 1970s. This increase along with a growing human population in Florida is one of the reasons for the growing number of panther sightings and and more ​depredations on calves, pets, and hobby livestock. Where do Florida panthers live? 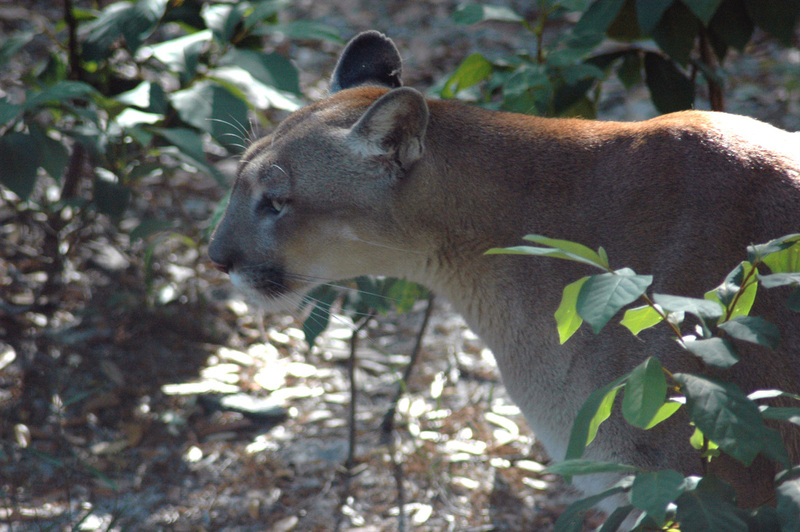 The breeding range of most Florida panthers is south of the Caloosahatchee River. At least two females have had litters in recent times north of the river and many more males have crossed the river including at least one male panther that made it outside the state into Georgia. Overall, our nation’s panthers are known to wander far and wide. One cat killed on a Connecticut road had walked all the way from the Black Hills of South Dakota. No. Florida panthers are only found in the tan color. It is the leopard or jaguar that can have a black coat and gets the nickname black panther, but there is no separate black cat called a panther. If you look closely at either a black leopard or black jaguar in the sun, you can still see their spots. How do predators like panthers and bears benefit people? With the loss of many of these natural predators in the eastern US, deer populations have more than doubled from their historic numbers. Each year, 1.2 million car crashes with these deer injure or kill over 10,000 people and cost all of us over $4 billion in insurance claims. Deer collisions will kill more people in the next 6 weeks than nation’s panthers have over the last century. Statistically, panthers are far safer to have around than deer. What are other ways I can help panthers? One way is to appreciate the ranchers and other agricultural owners who are often providing crucial habitat for panthers while needing to take measures to protect their animals and absorbing the cost of losses. You can help by showing support for programs that share those costs among all Floridians in gratitude for providing space for our state animal. Likewise, fees paid by hunters and other sportsmen help maintain many natural areas. To further help, Florida panther license plates fund the state’s panther conservation efforts. Even a visit to Naples Zoo can help as the Zoo is not tax-supported so visits and donations support their panther conservation and education programs. You can even restrict a donation to panther conservation. And of course, driving posted speeds, especially in panther crossings, can reduce the risk of killing a panther. 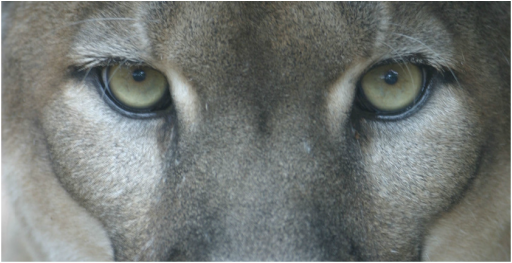 Learn more at the annual Florida Panther Festival hosted in November each year at Naples Zoo at Caribbean Gardens. What should I do if I or an animal I own has an interaction with a panther? The Florida Fish and Wildlife Conservation Commission want to know if a panther behaves in a threatening way or if you lose livestock or a pet. Call their Wildlife Alert Hotline at 888-404-FWCC (3922) or #FWC on your mobile phone. As other animals are commonly misidentified as panthers including bobcats and even house cats. 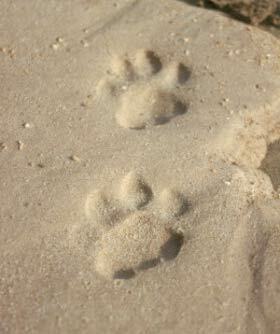 Likewise, feral dogs, coyotes, and bears are documented killing pets and other animals. Thus, it is vital to call immediately and protect any evidence of the incident including remains of any attacked animal as well as any tracks. This means not walking over the area, keeping other animals away, and covering any tracks with a board or bucket, especially if rain is expected.